Craving chocolate cake? Is the temptation somewhat…dire? Here’s a single serving of dark, decadent, pleasantly moist chocolate cake that will surely scratch your gotta-have-chocolate itch. The batter is mixed — and baked — in a coffee cup. Now, if you try this cake, I hope you’ll post your review in the comments section below. Please keep in mind that the cake is intended purely for emergency situations! 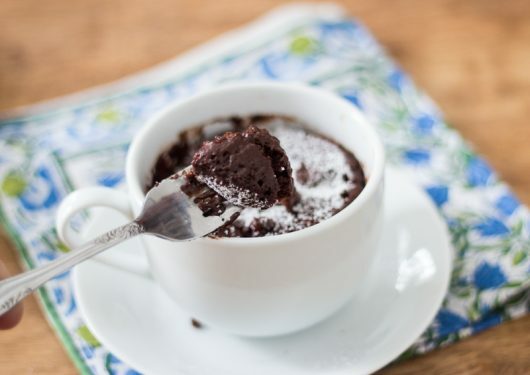 A dark, decadent, and pleasantly moist chocolate cake that is mixed and baked directly in a coffee cup or mug. Perfect for emergency situations. Lightly spray a 12-ounce, microwave-safe coffee cup or mug with vegetable spray. Then tip the flour, sugar, cocoa powder, baking powder and salt into the cup, and mix thoroughly with a fork. Add the melted butter, milk, and vanilla, and mix again with the fork to create a batter. Use the same fork to gently stir in 5-10 chocolate chips. Sprinkle 5-10 additional chocolate chips on top of the batter. Bake in the microwave oven for 50-60 seconds. If desired, sprinkle more chocolate chips on top of the cake, and bake another 5-10 seconds. Devour at once, with or without a dusting of confectioners' sugar, a dollop of whipped cream, or a scoop of ice cream. I have been highly skeptical of these supposed “cakes in mugs,” but Kevin, when I saw your post, I knew it was the one to try. I even broke out my Kerry Gold butter. And so now, here I sit, with a delicious mug of cake in front of me! I love your site and always use it as a fun break from or reward during long days. 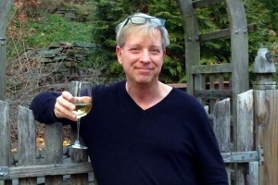 Thank you for your work on this site and always lovely and humorous disposition. Hi Sarah – Awesome review. So glad you tried — and liked — this cuppa cake! I’m at work so I can’t try this right now. Although believe me if I had the ingredients in my office, I’d be heading for the break room. This intrigues me because there is no egg in it. Ok, so I tried the written directions and it was good tho a little dry. Then I watched the video and the ingredient measurements are different. Video says half a teaspoon baking powder and a quarter cup of milk. I’ll try it again tomorrow (any excuse for chocolate cake!) and compare results. Hi Jan – Thanks for the alert! Printable is fixed now: 1/4 cup milk. I did use 1/2 teaspoon baking powder in video; 1/4 teaspoon will do the same trick. Please try the cake again — it really is wonderful — especially when made with the correct amount of milk!!! Would love to try this, but lacking self-rising flour, could I make a substitution? This sounds like a great reward after the rigors of your garden tour! I watched the video and thought to myself that it would be easier to mix the ingredients in a bowl that is larger than the coffee cup and then pour the mixture into a coffee cup for the actual microwaving. I like to have lots of room for a potential mess when mixing…I found the cup too restrictive for me. Of course, then you have another dish to wash or you could use that dish as long as it is microwaveable instead of the cup. 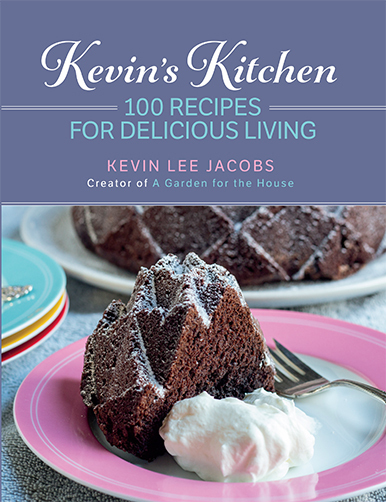 Am planning to make this because sometimes…nothing but chocolate cake will do! YUM! I didn’t have any self rising flour so I went on line and found how to make it. Since they said to use 1 cup of regular flour and your recipe called for 1/4 c self rising, I made 4 times your recipe of the dry ingredients and divided it. I now have 3 pks of dry chocolate cake ingredients ready for when I MUST have chocolate cake. What happened to the 4th you ask? Ha….it’s in my tummy! Hi Nancy – I’m so glad you tried — and liked — the cake. Also, love that you made individual packages of the dry ingredients for future emergencies! 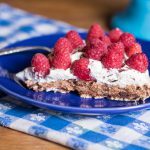 My husband adores chocolate, so I will make this easy, yummy dessert for him tomorrow. Thank you for the recipe. However, please, pretty please play more music on your piano!!!!! Kevin, I have no idea why any one would buy self-rising flour! It is pricey and can be made by simply adding baking powder to flour. 1 cup flour and add 1 1/2 tsp. baking powder and 1/2 tsp. salt. I hope Ronnie sees this! Kevin, do you have some other reason to buy it? Not meaning to be critical but it stumps me! Love all your posts!! use) from reading the comments. Thanks Nancy! Thanks for all the good recipes you share with us. Just love this quick and easy recipe and the hints from readers. Think I’ll mix up some packages and when someone is stopping by, you have a dessert in 90 seconds. Thanks Kevin. And I LOVED the piano parts. Would love to hear you play an entire piece. Hi Ronnie, Megan, and Nancy — I love teamwork. Thank you! I’m going to get the ingredients for cuppa cake and hot chocolate from scratch to have on hand! 🙂 Thanks! Wow, that was too easy and wonderfully delicious! The perfect treat. Thanks!! Oh, the creative music addition works so well! Keep that up, Kevin. of humor in this video! 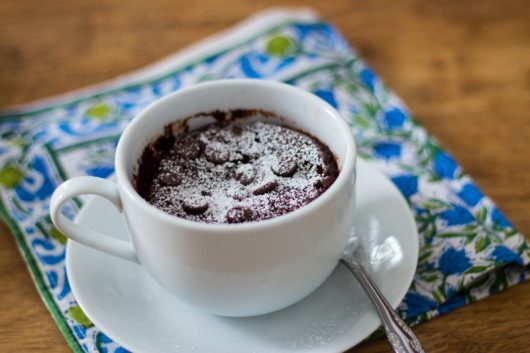 The chocolate cake in a cup looks good, too. My husband was watching your video over my shoulder and wants to run out to buy chocolate chips now! I might let him! Thanks! If I was to use enamel cups, and bake in the oven, what is the time and temperature?? Micros are on mars as far as I think should be…… I have a folder of reason’s for that, and want to make your cup’a cake. Hi Margie – You have a wonderful husband! Do you have a recipe for Cassoulet? So Kevin… can you use Almond Milk? And Stevia to taste? Hi Mark – Cassoulet is on my list! Hi Judith – I’ve only made this cake with the ingredients described. If you make your cake with almond milk and stevia, please report the results! I made this last night to end our grilled lamb chop dinner! Wonderful! I only used 1 1/2 Tbsp sugar and it was fine. Now I’m wondering if I could inject some coffee into the mix for a mocha flavour. I’ll let you know. Raspberries go great with it too. This would be a great birthday party project for kids. I’m sending the recipe to my grandson. Thanks for sharing, Kevin..
Hi Pat – That’s music to my ears! A mocha version would be delicious indeed. any possibility that this will work with coconut flour or chebe flour? Hi Janet – I’m not sure about the two flours you mentioned, but I think the recipe might (might!) work with King Arthur’s GF “Measure for Measure” flour. OMGosh, where was this recipe when I was prego and craved unbaked cake batter? 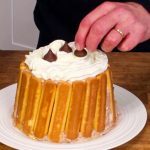 This is perfect to make for the hubby, so a whole pan of cake can’t tempt me as I, sigh, change my eating …oh heck, diet. Lol. Hi Lori – Oh, the wild cravings that occur during pregnancy! Let me know how the cake turns out for you I mean your husband. Hi Kevin ! thanks for validating chocolate cake emergencies. Made & ate this tonight, just what I needed. Loved the fact it only had 1 Tbsp of butter. I’m going to make it again adding a few raspberries with the chocolate chips. I’ve been enjoying your site for years. I didn’t have any self-rising flour, so I used Bisquick and left out the baking powder and salt. What an extremely moist cake! I made two so we would each have one, but they were so rich that I think I will make one to split next time…. maybe add chopped pecans and drizzle it with caramel sauce? Thanks for sharing this great recipe! Hi Elaine Morin-Olly – Glad the cake worked out for you! Chocolate and raspberries…YUM. 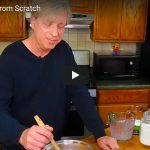 Hi Jan Stommes – Nice to know that Bisquick works for this recipe. Yes, the cake is moist, rich, and oh, so satisfying! I suppose this isn’t a cake that should be ate at 10:30 at night, as I had company over and it was my plan to make this, but the conversations got carried away and now 5 out of my 6 coffeee cups are waiting for melted butter and milk….and it just sounds so good….. This is the best so far of all the Mug Cakes I’ve tried. Absolutely Tops! Who needs another mug cake recipe when you’ve got Kevin’s? BTW, I didn’t have any self-rising flour so I used pastry flour and simply added an extra pinch of baking powder. Hi AnnieW – So glad you tried — and enjoyed — this gotta-have-chocolate-right-now cake! Is there a way to prep this before a dinner party and the just pop them into the microwave right before serving? Hi Carla – This recipe is intended for single-serving emergency situations. A better option is Chocolate Pots de Creme, which can — and should — be made in advance. The individual servings are GREAT for dinner parties! Click here for my recipe: Chocolate Pots de Creme.